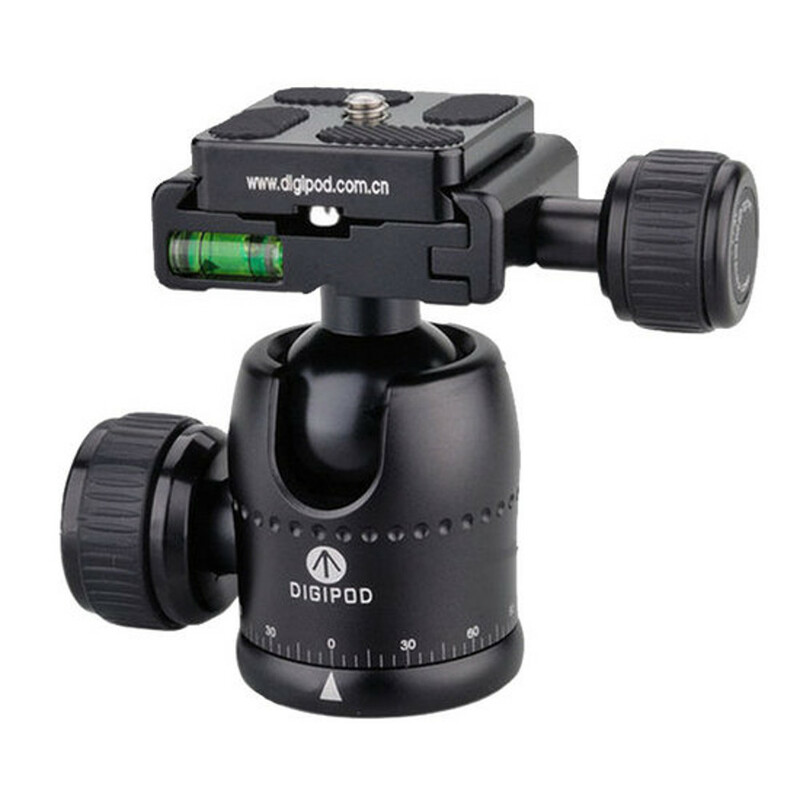 DIGIPOD is a producer of high quality tripods and ball heads. The ball heads are very sturdy and stable and can smoothly be moved into the desired position. The quick release plate is due to a screw mechanism and it can be adjusted along the length axis. On top of the ball head there is a damper to absorb shocks on the camera and an integrated level enables exact horizonal positioning of the quick release plate. The lower part of the ball head with its tripod connection can be rotated and an angle scale allows you to restore old settings. With a total load capacity of 8 kg it is suitable for all DSLR and medium format cameras. Made of utterly durable and robust metals. The BH-32M ballhead is a very versatile and exactly adjustable precision product.